We are proud to offer our customers a dedicated industrial paint spraying service of the highest quality available at competitively priced rates. Additionally, unlike some of our competitors, this service is not limited to sites within the UK and is also available throughout the European mainland. When performing industrial paint spraying services on behalf of our clients, all work is completed on-site and specifically programmed to assure that the project will have a minimal impact upon the activities of both the business and its customers. All our industrial paint spraying services are fulfilled to our trademark high standards of both service and quality. We are committed to upholding the level of standards irrespective of the projects scope, this extends to the biggest of projects through to the smallest. 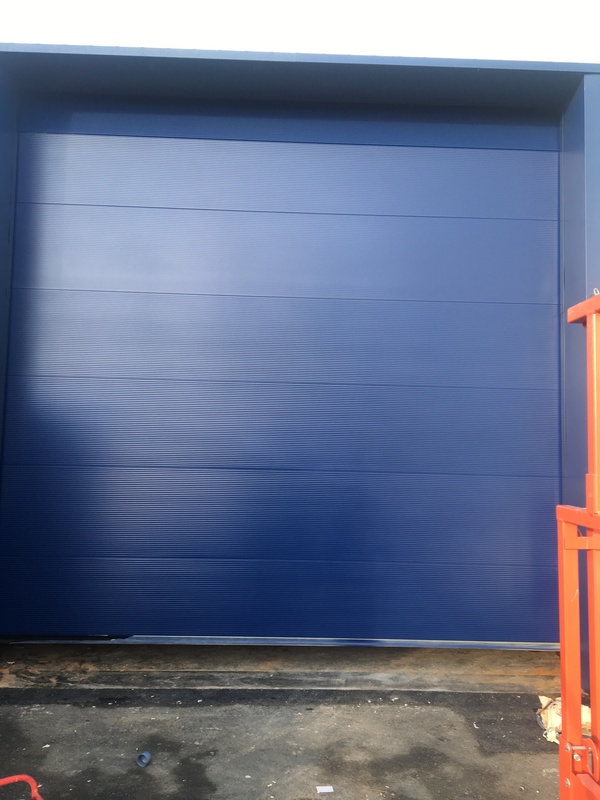 Our years of dedicated industry service have equipped us with specialist experience in the two fields of refurbishment work and industrial spray painting. Our refurbishment work, includes a number of specific services. 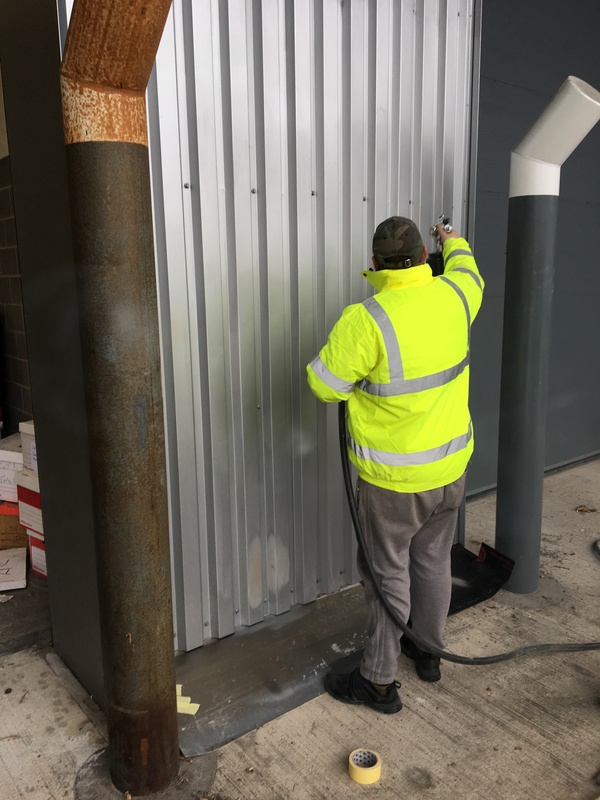 Notably, this service field includes performing restoration work on numerous surfaces and substrates, including aluminium, stainless steel, galvanised surfaces and power coated cladding. This remedial work has become exceedingly popular with our clients in recent years. This popularity can be attributed to the exceptional financial savings this work provides. To demonstrate, performing re-coating work on cladding and other painted surfaces in-situ saves both time and money- without disruption to the affairs of your business. The performance of cladding panel repairs and subsequent re-spraying. The repair and use of a re-spray system to all profiled composite panels. The repair and use of a re-spray system that includes powder coating, architectural coating, PVF2 and other systems. The repair and subsequent respray to all curtain walling, cladding, roofs and doors on all buildings. The performance of coating repairs and subsequent respraying of sectional overhead doors. The refurbishment of metal and aluminium shop fronts and windows. The reparation and re-spraying of staircases, entrances and balustrades. In-situ colour changing to existing coatings. The in-situ refurbishment of lift doors, frames and carriages. The reparation and re-spraying of food safe panels, this includes both cold stores and refrigerators. The deployment of anti-graffiti application coatings, to any surfaces ranging from standard sacrificial to non-sacrificial permanent clear coatings. We are proud to provide our services on site, applying coatings to components that are too large to be moved. When working on-site, our processes enable us to not only meet handover targets but to stop delays. For information or to enquire about a free, no obligation site survey of your premises, call: 01908 765 009.